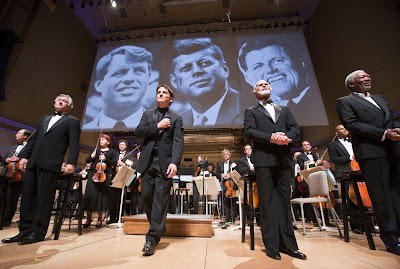 Tonight, May 18, acclaimed actors Robert De Niro, Ed Harris, Morgan Freeman, and Cherry Jones joined conductor Keith Lockhart and the Boston Pops Orchestra for the world premiere performance of The Dream Lives On: A Portrait of the Kennedy Brothers, at Symphony Hall in Boston, MA. 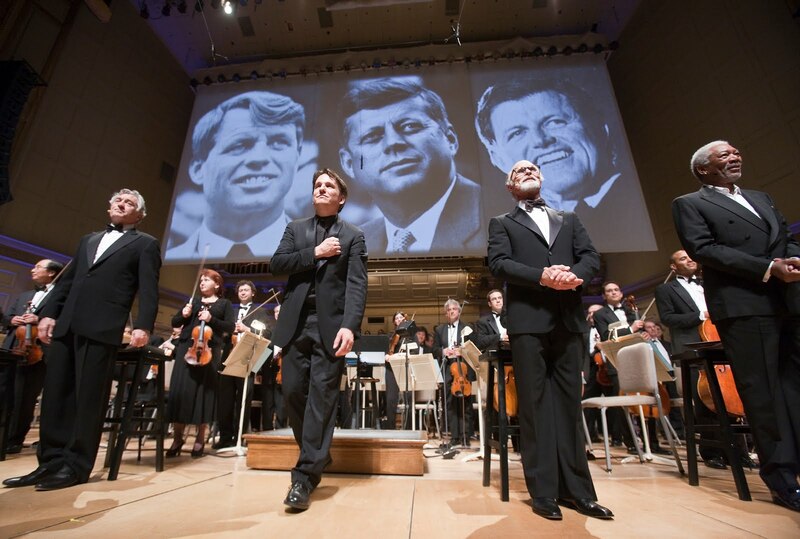 Written by composer Peter Boyer and lyricist Lynn Ahrens and commissioned by Keith Lockhart and the Boston Pops, The Dream Lives On pays tribute to the legacies of John, Robert, and Edward Kennedy. VIDEO EXCERPT OF "THE DREAM LIVES ON." I felt misty watching just that little excerpt. Very well done.